AN EXCITING NEW ANNOUNCEMENT HERE AT FURL…. We have a brand new luxury storage bed and it has just arrived at our showroom. For those of you who haven’t paid a visit to our showroom before, this is now the perfect time to. This luxury storage bed is nothing short of a wow. It is not like anything that we have made before and not like anything you will have seen anywhere else. 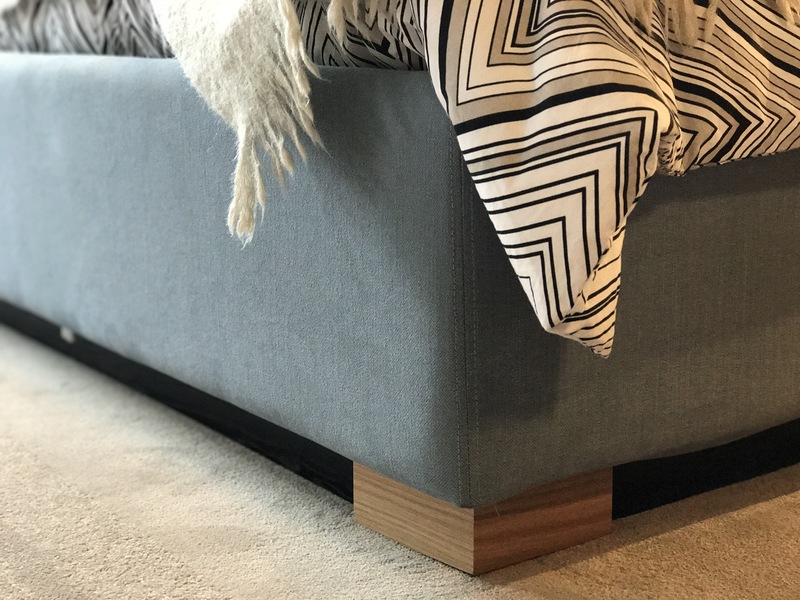 So even if you aren’t in the market for a storage bed, you might just be after seeing this one! What defines a luxury storage bed? Very good question. The definition of luxury is “a state of great comfort or elegance, especially when involving great expense”. Our storage beds are certainly elegant, and often commented on for their comfort (even though we know that also has a lot to do with our lovely mattresses). They are a little more expensive than others on the market, but we completely agree with the saying, “you get what you pay for”. Just as luxurious as the last, this bed has a brand new mechanism. You can barely see the workings of the mechanism, but it is high quality and extremely durable. We aren’t going to tell you how it works, you will have to come and see it! But what I will say, is it’s magic! Just like all of our other beds, this one will be available in any fabric, any colour. And you can also choose whether you would like to add a headboard to it or not. Want to tell us your thoughts or any ideas you might have about our new luxury storage bed? Tweet us @Furl_Home with your comments. One of our customers actually renamed one of our beds, almost 6 months after we started making it! We love to listen and we often say, our customers come up with the best ideas of all. Previous Previous post: Have you visited us at Grand Designs Live yet?